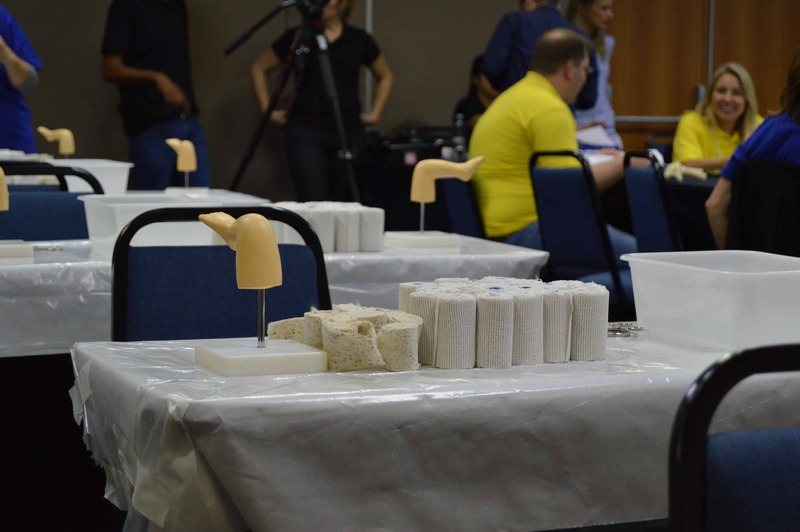 Tables in preparation for trainees of the Ponseti Method to practice their casting technique on plastic foot models. PIA affiliated trainers also explain the foot anatomy and which parts to manipulate and stretch during Ponseti Method. Practice, practice, practice is the motto! Trainees hear “do it again” many times while they are learning how to cast on foot models. 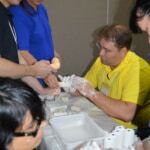 Casting is messy and it requires one person to hold the leg while another person applies the cotton and plaster paris casting material. 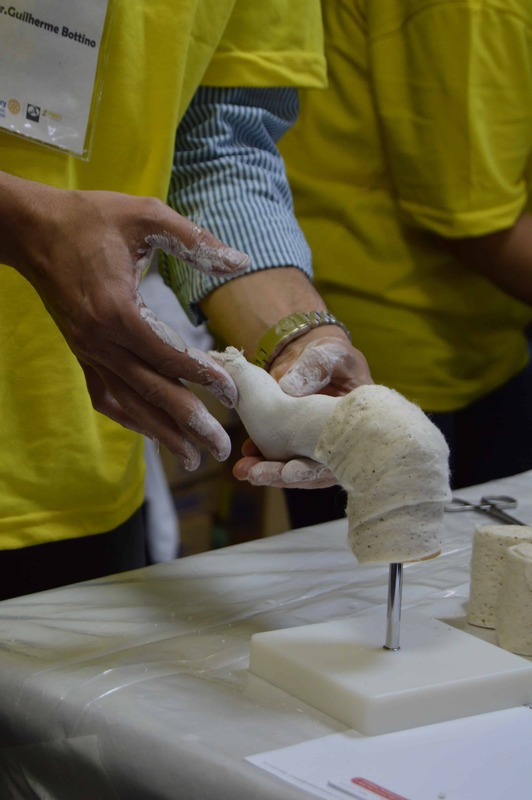 Here the trainee stretches and manipulates the foot prior to applying the cotton for the cast. After an afternoon of practicing on foot models, it’s time for the trainees to observe children receiving Ponseti Method in a clinic. 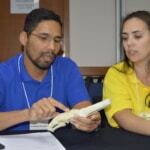 A Ponseti Method trainee listens and observes as the Ponseti Method trainer teaches about a patient’s previous cast. 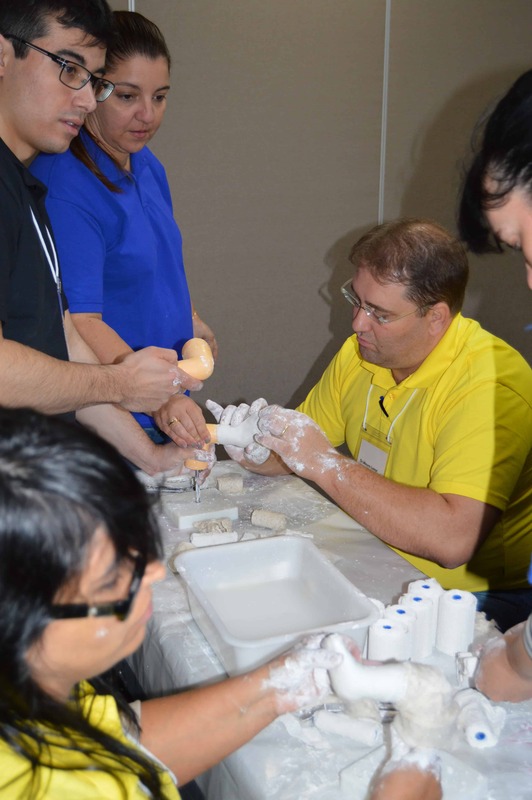 PIA affiliated trainers explain how to exam the foot and how to assess progress between casts. 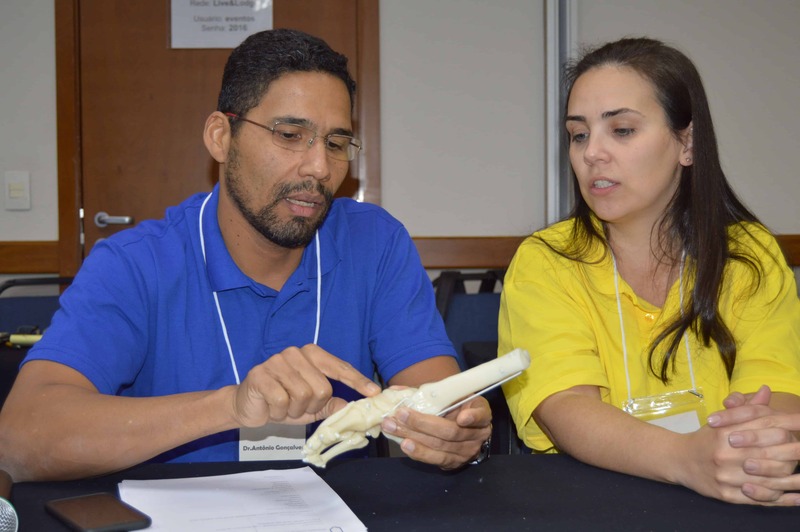 Between observing patients, trainers and trainees often return to the plastic foot bone to discuss a particular technique or difficult case. 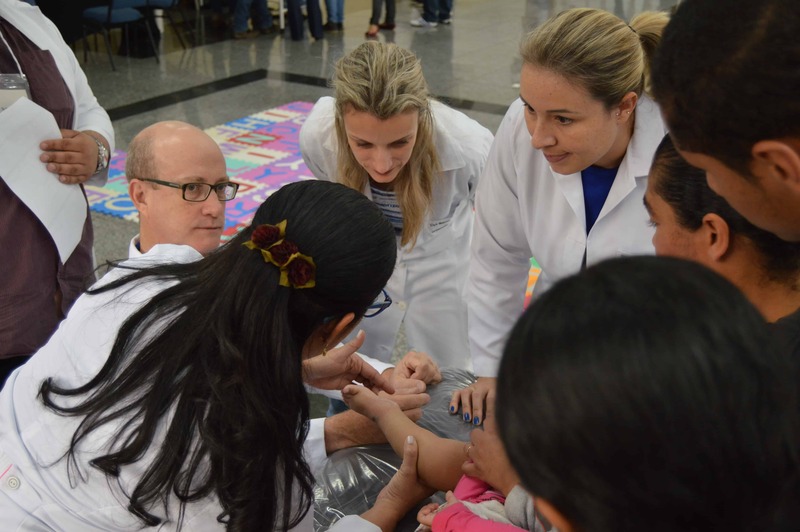 Rotarians are planning a five day Ponseti Method Training in Passo Fundo during May for ten physicians. 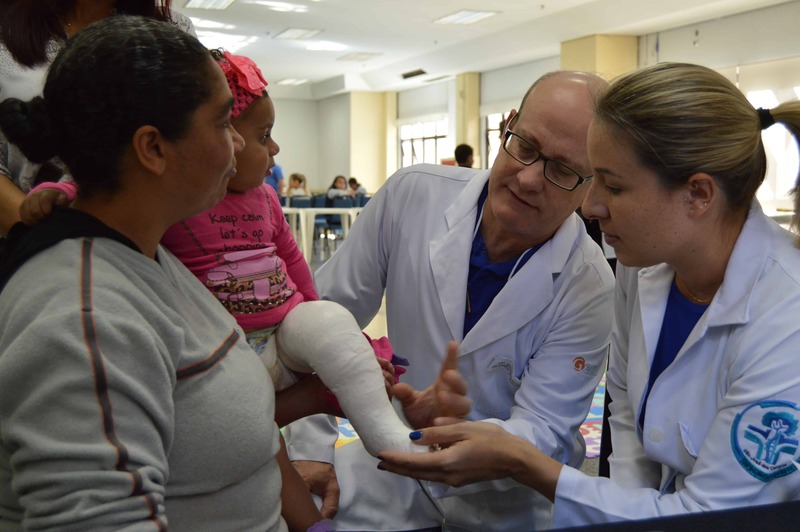 During the training, trainees first practice the casting technique on plastic foot models many times before they actually apply a cast to a patient’s foot. 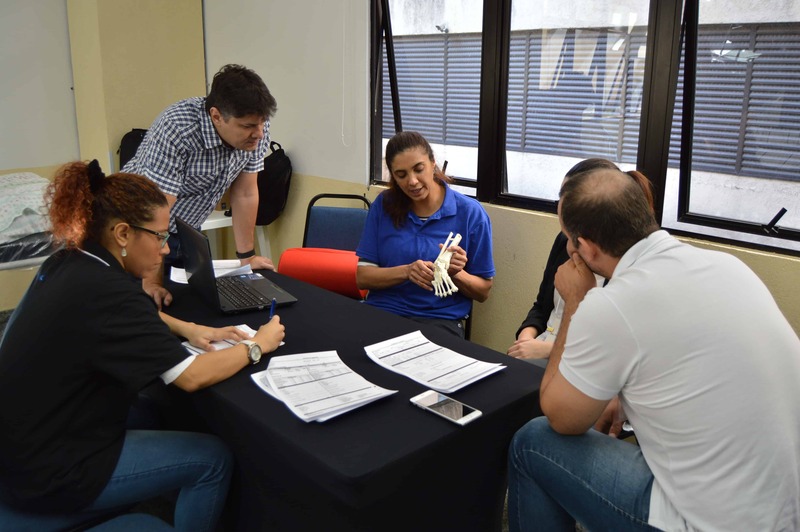 A Ponseti Method trainer is paired with each trainee to offer guidance and instruction while learning the skill.